Lawmakers on Friday indefinitely postponed anti-piracy legislation that pits Hollywood against Silicon Valley, two days after major Internet companies staged an online protest by blacking out parts of prominent websites. Senate Democratic leader Harry Reid postponed a showdown vote in his chamber on the Protect Intellectual Property Act, or PIPA for short, that had been scheduled for January 24. 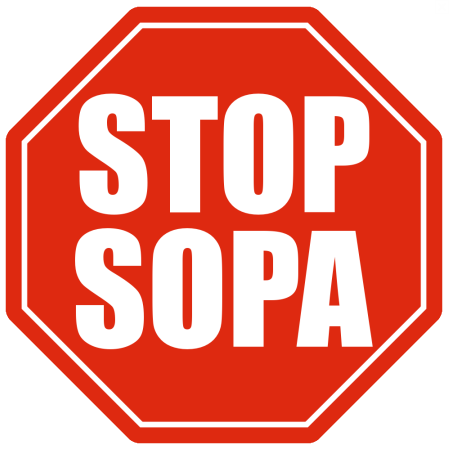 Lamar Smith, the Republican chairman of the House of Representatives Judiciary Committee, followed suit, saying his panel would delay action on similar legislation called the Stop Online Piracy Act, or SOPA, until there is wider agreement on the legislation. “I have heard from the critics and I take seriously their concerns regarding proposed legislation to address the problem of online piracy,” Smith told Reuters in a telephone interview. “It is clear that we need to revisit the approach on how best to address the problem of foreign thieves that steal and sell American inventions and products,” Smith said in a statement. The bills are aimed at curbing access to overseas websites that traffic in pirated content and counterfeit products, such as movies and music. But support for the legislation has eroded in recent days because of fears that legitimate websites could end up in legal jeopardy. The entertainment industry wants legislation to protect its movies and music from counterfeiters, but technology companies are concerned the laws would undermine Internet freedoms, be difficult to enforce and encourage frivolous lawsuits. On Wednesday protests blanketed the Internet, turning Wikipedia and other popular websites dark for 24 hours. Google, Facebook, Twitter and others protested the proposed legislation but did not shut down. In a brief statement, Reid said there was no reason why concerns about the legislation cannot be resolved. He offered no new date for the vote. A handful of senators who had co-sponsored the legislation dropped their support after Wednesday’s protests started. Leahy said in a statement that he was committed to addressing online piracy and hoped other members of Congress would work with him to get a bill signed into law this year. “But the day will come when the Senators who forced this move will look back and realize they made a knee-jerk reaction to a monumental problem,” he said. “Criminals who do nothing but peddle in counterfeit products and stolen American content are smugly watching how the United States Senate decided it was not even worth debating how to stop the overseas criminals from draining our economy,” Leahy said.